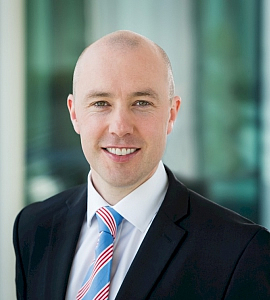 An Associate member of Chartered Accountants Ireland, Brian specialises in assurance and business advisory services for large indigenous and international companies. His client list includes high profile brands in a wide range of sectors from information technology, gaming and medtech to insurance, manufacturing and food. Brian has carried out due diligence for multinational companies across multiple jurisdictions including the BRIC and EMEA countries and has worked on significant corporate structures and restructures. A founding member of RBK's International Desk, he has significant experience in assisting foreign direct investment companies setting up operations in Ireland. Brian is an Economics graduate (TCD) and has been a Partner in RBK since 2011.